Benihanas has nothing on me! I got this. 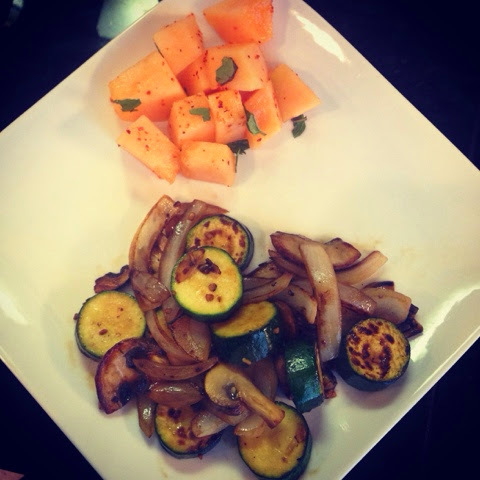 Cantaloupe with mint and chile lime powder. Zucchini, mushroom, and onion sautéed in a little spary oil and a little low sodium soy sauce.